Planets have to start initiation of their lifespan somewhere, and the primary theory explaining the formation of planets is that they originate as dust particles stamping together to form greater building masses, before finally developing ages later as full-blown planets. But the precise physics that would allow such masses to form has long been disappointingly blurred. That's why new study of Oph-IRS 148, a star situated some 400 light-years away in the constellation of Ophiuchus, is so sensational to astrophysicists. By means of the ALMA telescope at the European Southern Observatory, astrophysicists have revealed what's known as a dust trap, a safe harbor for particles to strike and chain without being in constant risk of dropping into their parental star. 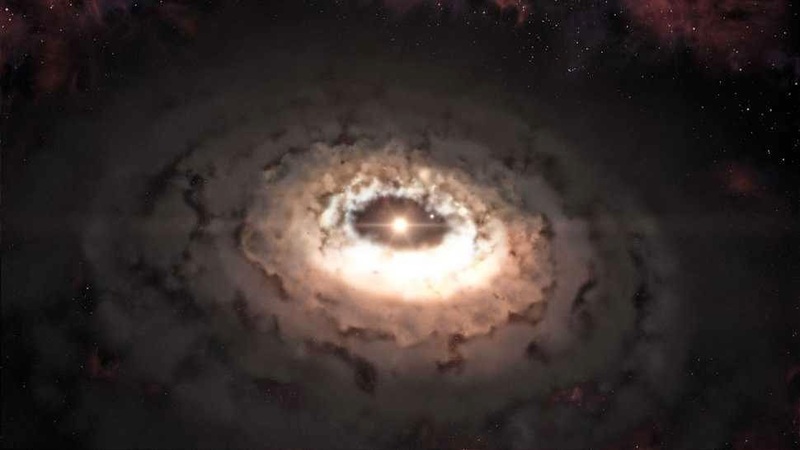 In this situation, a whirlpool in a disc of gas neighboring the star generates a high-pressure area in which the dust particles can combine together without losing orbit and plunging toward the parent star. This specific dust trap is doubtful to form planets; indeed, it's possible that the gaseous disc is linked to a unknown planet or perhaps a companion star hidden from our view behind all the dust, so this specific solar system possibly won't solve all the inmost anonymities of planetary establishment. But it does, in any case, help to clarify just how dust particles could initiate the procedure of founding massively larger bodies without destroying each other or getting evaporated by their parent star. Chief author Nienke van der Marel of the Netherlands's Leiden Observatory clarifies this further as. “At first the shape of the dust in the image came as a complete surprise to us. Instead of the ring we had expected to see, we found a very clear cashew-nut shape! We had to convince ourselves that this feature was real, but the strong signal and sharpness of the ALMA observations left no doubt about the structure. Then we realized what we had found. It’s likely that we are looking at a kind of comet factory as the conditions are right for the particles to grow from millimeter to comet size. Read more at ESO website.